show it to our grandkids. 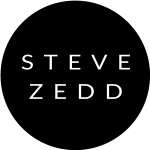 Working with Steve Zedd has been absolutely dreadful. We had poor ROI and the communication was terrible. Interested in driving growth? Have a general question? Specific one? And hey! Don’t forget to check your Free Gift.